The Scottish national cross country champion talks training and his pre-race good luck routine. When Adam Craig toes the line at the Inter-Counties on Saturday (March 9) it will be the first time the US university graduate has competed in the UK’s most prestigious cross country event. The 23 year-old Scottish international returned from three years studying Exercise Science at the University of Mount Olive last summer, and has wasted no time making his mark on the British racing circuit. 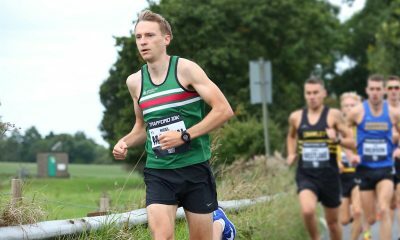 Craig’s emphatic victory at the recent Scottish National was a deafening war cry to his competitors at the forthcoming Inter-Counties that he’s a real contender for the title at the event in Loughborough. “Since I decided to end my indoor season early after the British Championships in Glasgow, I’ve done more cross country training to increase my strength and endurance ahead of the National and then the Inter-Counties,” he tells Fast Running. “I brought my mileage down to 70 to 75 miles a week for the indoor season, so between now and the end of the cross country season I’ll keep it there before taking a break before the summer track races begin. 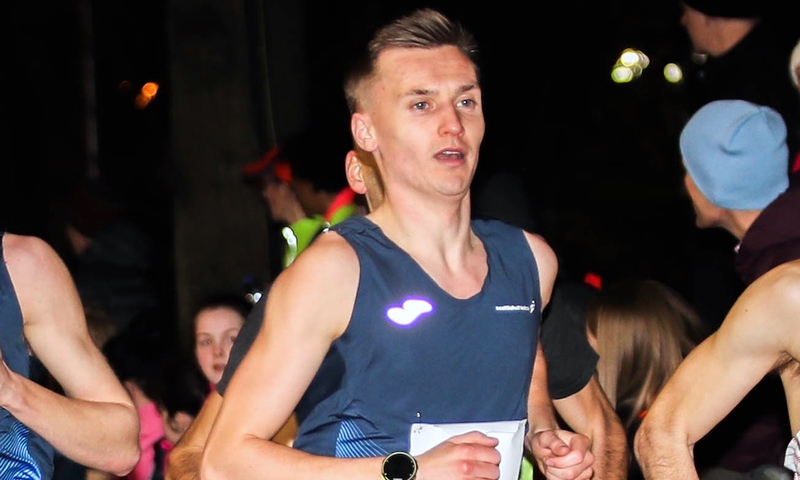 The quality of that trusted training has been boosted by regular runs with his new club mates at Inverclyde AC, who he joined last summer after moving to Glasgow. “I train with them whenever we can fit it in around our individual schedules and other commitments, like work,” he explains. “It’s very different now I’m back in Scotland, living on my own, compared to living on campus in America with 120 people on the athletics team! As is often the case with British athletes returning to the UK from studying across the pond, Craig has continued his coaching set up with his American mentor. Pollard is also Scottish Athletics’ National Endurance Manager and a decent runner in his own right. The V35 finished 44th at the recent Scottish National Cross Country, and has a very useful 2:27 marathon PB to his name. Surprisingly Craig doesn’t yet have an athletics agent, who would normally be the person finding quality races across Europe and the rest of the world for athletes of his calibre to enter. Perhaps now he’s clocked up that incredible 13:45 5k PB and the Scottish National win that may well change. “I’m definitely in the market for an agent!”, he adds with a laugh. 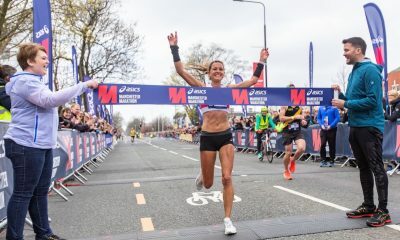 So what does a typical week’s training look like for the Armagh 5k runner up and nine time All-American? “I usually do three main workouts a week, and my mileage hits around 85 to 90 miles on average,” he explains. “Those three workouts will include a track session such as: 10 x 1k, 6 x 1m, 5 x 2k, all at tempo pace off a short recovery. “I’ll also do a tempo run with some race specific work included. This might involve lots of reps within the run at different paces, but including race pace itself. I never ‘red line’ these sessions, or go ‘eyeballs out’. It should be hard work but not over-lactating it! “The final session will either be a race or a sub-tempo progression run. A regular session like this is a 10 mile progression with the first five miles at 5:50-6min/mile pace. I’ll then ramp it up to do the last five miles at 4:45-4:50 pace. It’s a proper staple session, and while I sometimes run it by the River Clyde I’ll often do it on the treadmill to make it more controlled. T53 GB para-athlete Kinghorn is a double world champion, world record holder, Paralympian and world bronze medalist. Not a bad training partner to have next to you in the gym then! What about ‘easy’ runs though, and that other staple of any endurance athlete’s training armoury – the long run? 2019 will certainly involve a lot of ‘first-time experiences’ for the 23 year-old Scot. 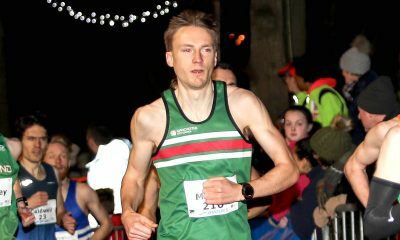 Along with his first British Indoors in February and his first senior Inter-Counties on Saturday, he is also looking forward to joining the party at this year’s Highgate Harriers’ Night of the 10,000m PBs in July. Before that, though, the reigning Leeds Abbey Dash 10k title holder is heading to Font Romeu for his first ever altitude training trip in June. “I’m really looking forward to it, I’ll be out there for four weeks,” he reveals. “It’s the perfect altitude (about 1800 metres) to be able to train fairly normally but also enjoy the benefits afterwards. 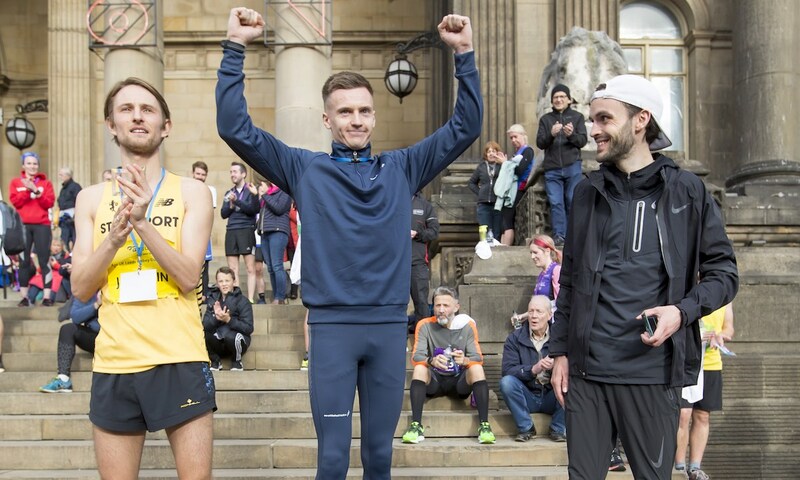 While the fastest Scottish athlete over 5k in many years may have swapped the (probably) endless sunshine of North Carolina for the streets – and British weather – of Glasgow, his pre-race good luck routine has not changed. The Exercise Science graduate is appreciative of the support he’s received from his employers at Run For It, a running shop in Glasgow offering gait analysis alongside a large range of shoes and clothing. “They’ve been great at working with me to allow me to take those four weeks off in June for altitude training,” he enthuses. “We also get two pairs of running shoes a year, which is obviously a big help. Grateful for the support he has received so far in his journey to the top, Craig is keen to give back wherever he can. A great admirer of the former Scottish international rugby player Doddie Weir – who has the degenerative condition motor neurone disease and lives close to Craig’s family home – he wanted to show support for Weir’s charity at the Jedburgh 10k last winter. After winning the race in 30:50, he donated his prize money to the rugby player’s ‘My Name’5 Doddie Foundation’, which raises funds for more research into MND. 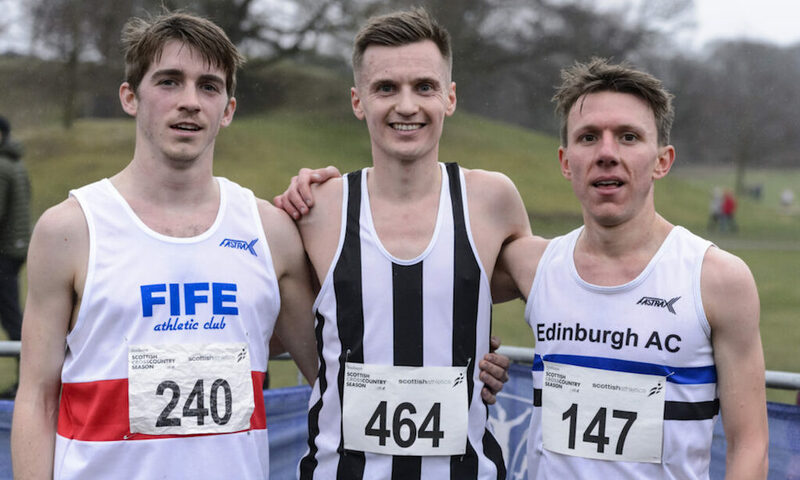 If Craig manages to qualify for the World Cross at Saturday’s Inter Counties, his own profile will be raised significantly, allowing the likeable Scot a greater chance to help causes close to his heart. This is the second of two interviews with Adam Craig – check out the first one here.